We’re back for yet another October horror film festival. Similar to last year, I’ve decided to embark upon another October chalk full of horror films. Last year, I was able to get through all 31 films on my list. I made some amendments to that list that I failed to mention in my post; specifically the trilogy of Roman Polanski films which needed spots on the list. This year, I removed a few films and added some (including films from 2017). I used the same criteria as last year except I removed the films that I felt didn’t hold up. That said let’s talk about what’s new for 2018. The Birds (1963) – Doesn’t hold up; don’t @ me. Eraserhead (1977) – Although I enjoyed it, it didn’t meet the initial criteria and was removed in order to make room for a new wild card film. Nosferatu the Vampyre (1979) – Slow, hella boring; Next! Dead Alive (1992) – It’s possible I didn’t understand this one; but I wasn’t a fan at all. 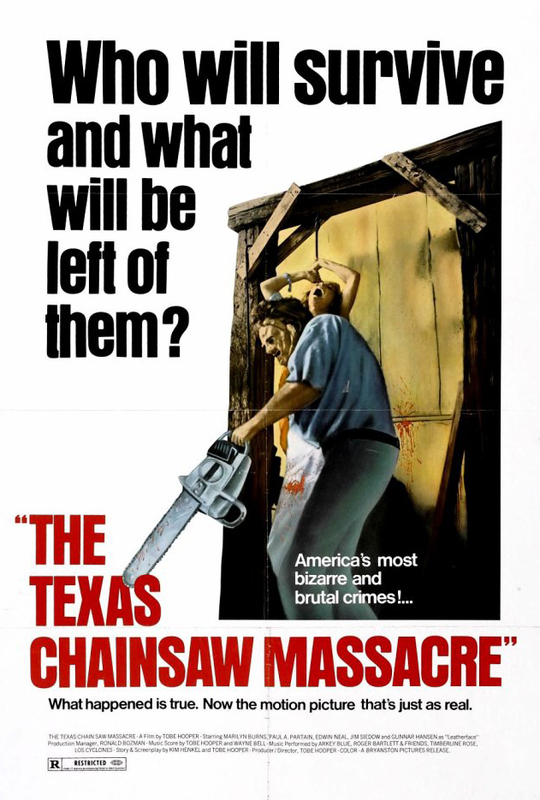 The Texas Chainsaw Massacre (1974) – my wild card entry for 2018. An American Werewolf in London (1981) – I go through and ensure that I have the latest up to date ratings on these films, this year this film made the cut. Under the Shadow (2016) – I somehow missed this in 2017; I added it this year. Get Out (2017) – An obvious addition to the list from 2017.